Boy. This week has been long and this morning even longer, hence the lateness of this post. But it's here now and today we're talking about Inbox Zero - the most esteemed inbox status one can have (apparently). This seemed to be the topic du jour on social media this past week and in a few meetings I had with folks. 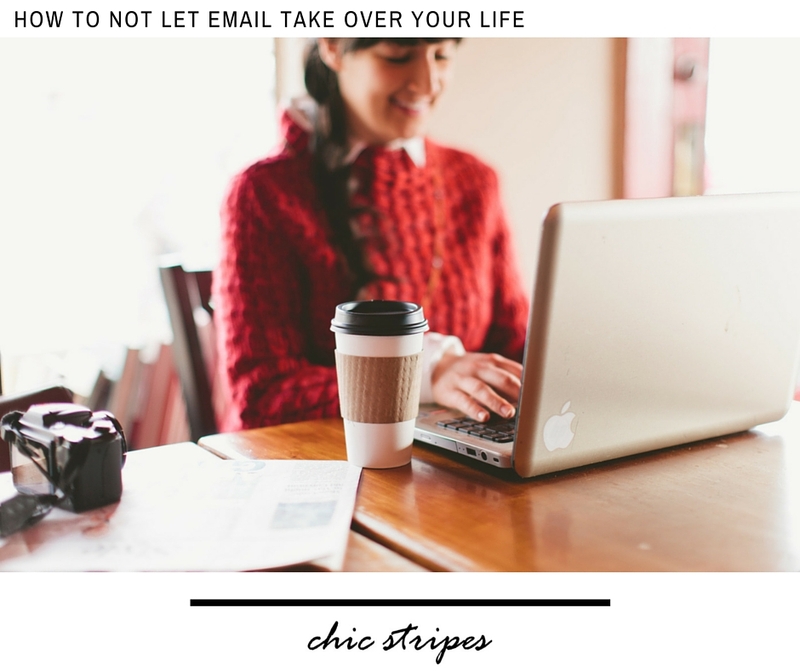 The methods to keeping your email from taking over your life are varied, but I've created a few ways that work for me and thought I would share my process for managing my emails. Ready? Yep. That old thing you pull out when you are on vacation. Dust it off and set it for 24/7, 365, all the time. This is a nice way to let everyone know that you will get back to them - on your time. Mine is set so that everyone who reaches out knows I'll get back to them within 2-3 business days. This lets me focus on my to-do list, which is made up of items that actually push my business forward, and not letting my emails (basically someone else's to-do list) become my to-do list (because really - does answering emails actually help you build your business? Most of the time this answer is NO!). While I no longer respond to emails as soon as I receive them, I do check them several times during the day. I am actually working on establishing two set times during the day to check emails, but baby steps people. The method of scanning emails lets me see what may need an immediate response (clients I am working with, friends, etc.) and what can wait for my 2-3 business day courtesy response. The emails that don't require an immediate response from me get "batched." In other words, they stay in my inbox until I am ready to respond and then I sit down and craft responses to all emails of the same type at the same time. This allows me to get on a roll and I actually end up spending less time on emails and more time working on my business. I commit to dealing with an email the moment I click on it to read it. This means that I either reply, batch, archive or delete it. And you will actually get to Inbox Zero this way, but on your own terms and in your own time. Last, but surely not the least, Steps 1-4 free you up from being at the beck and call of your email, guilt free. You've established and communicated your boundaries in a respectful way and then implemented systems to help you process your emails in an efficient manner. No more feeling stressed by your emails, no more urgently or quickly responding to things in a less than professional way, and actually living our life and building your business in efficient ways. Special thanks to Rachel Cook and the Fired Up and Focused Challenge for introducing me to many of these ideas., this Man Repeller article by Haley Nahman that sparked the idea for this post and this Forbes article by Keith Wagstaff that solidified my theory that emails really do not need to rule your life.